OLD PARKED CARS. 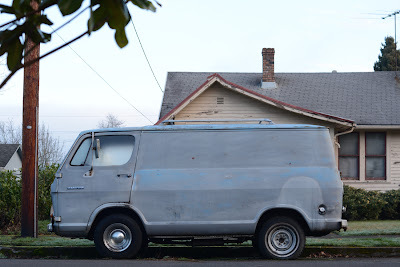 : 1965 GMC Handi-Van. Out of the "big three" American auto makers & their first generation vans I always loved the GMC/Chevrolet as my favorite. As compared to Dodge and Ford this model has certain unique/mean look. 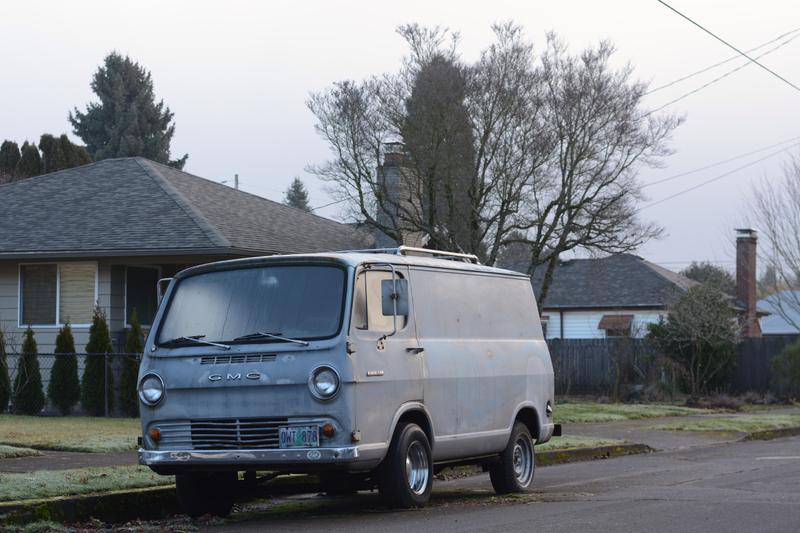 As far as the first generation of vans are concerned, most people's opinions of these models (GM) as compared to the Dodge-Ford, they are either liked the most or least. ^^^^i feel the same way, richard. most appealing cab-over rig that i can think of. i'd live in it. lotta "vanners" would love to get their hands on this one. I agree with Richard of the big 3 first gen cab-over vans these are the more interesting of the bunch. that rear three quarter view is frightening. what's behind the dark broken window? @ anon - probably dark broken love or a Tercel Wagon. Needs a mural. And some portholes. After that we are good to go. Great lighting, especially in the front shot. 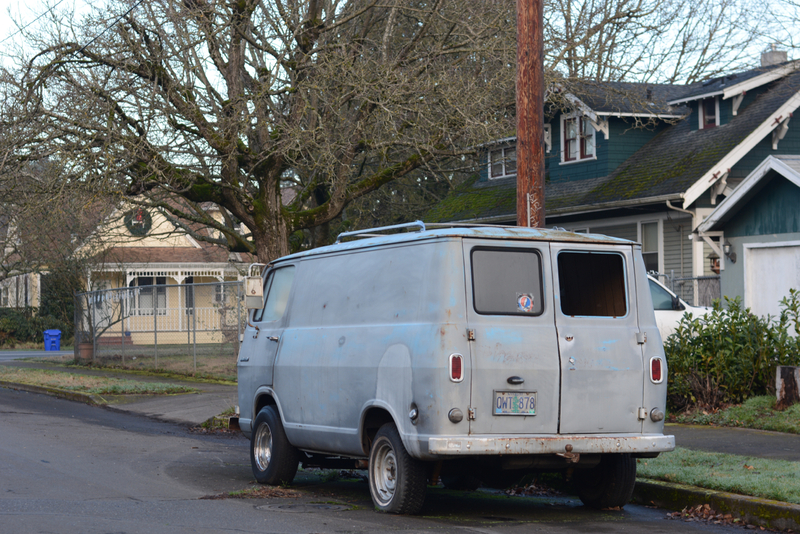 Pretty sinister Handi-Van.